So I’m a few days late in relating all things May, but when you take a gander at #1 on the list you may understand why. 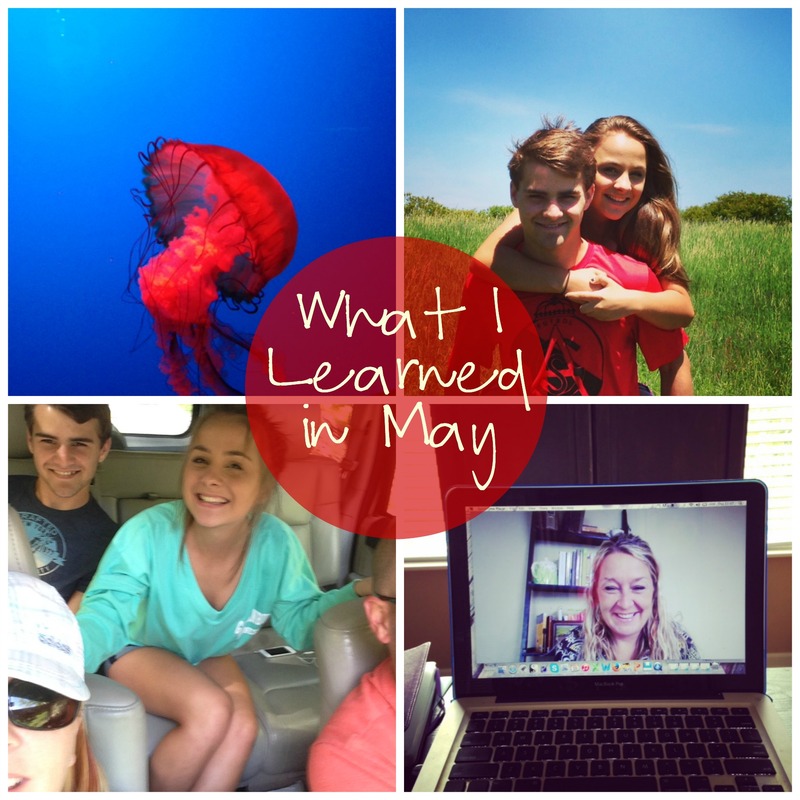 So here’s what I learned during the month of May. If you work more than one job, something in your life is gonna suffer. The places your visited with your kids don’t create as much fun when you visit them with your teenagers. We decided to head out to the local aquarium with the kids (um, teens) this month. We thought, “Hey, it will be fun and we get a huge discount.” While we did enjoy some laughs along the way, what was once a kid-thrilling place to go, turned out to be an oh-look-there’s-a-shark-and-a-turtle moment quickly followed by a is-it-almost-over-moment (and it wasn’t just the teenagers making these statements). Note to self – step away from the aquarium and head to the movies next time! The best memories don’t often photograph well. I’m not going to spend a lot of time on this because I do have an entire post dedicated to the one thought. But in a world where people are obsessed with photographing every moment of their lives, I have tried to go the other way, and this is the reason why. Next time you want to take a picture of your meal at McDonald’s or your super cute new shirt, try living in the moment and put down the phone camera! Sometimes the promise of dinner and a movie with your spouse is all you need to make it through the week. This past month the hubs and I celebrated 21 years of marriage. I bought him a grill and he bought me patio furniture — a true sign of being married for quite a while. I mean, diamonds are great but who wouldn’t want to sit on the back porch and watch the sunset instead? Our anniversary was on a Thursday, and I spent the entire chaotic week dreaming of going on a date. It wasn’t a night at the Ritz but it was a night of enjoying the company of the one I love. Friends that you make in missions are “special” friends. There’s something quite unique about the friends I’ve made during my missions life. I have a bond with them that I don’t have with other lifelong friends. It’s almost as if we share a part of our souls. We truly get each other because we’ve experienced a life that most never get to experience. In May we spent and entire weekend with some missions friends. We laughed together, hiked a mountain together, and ate some great food. It was truly a gift to my heart and mind to be with those who love me in a way no one else can. And that’s how my life has grown in the past 31 days. This entry was posted in Spiritual Encouragement on June 3, 2015 by aliciachall28.